These coins are witnesses of different periods of Jewish history. Most of the coins are around 2,000 years old - some coins are from the Maccabean era, from 103-76 BCE, some are from 131-130 BCE when Judea was under the Greek rule of Seleucid King Antiochus VII, and some are from other important periods in Jewish history, such as the Masada siege and Bar-Kochva revolt. 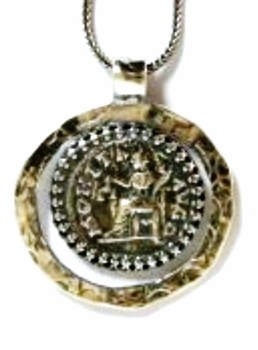 The ancient coins jewelry is especially loved by those who feel connected to Israel because of its historical significance. Read more about the History of the First Coins. 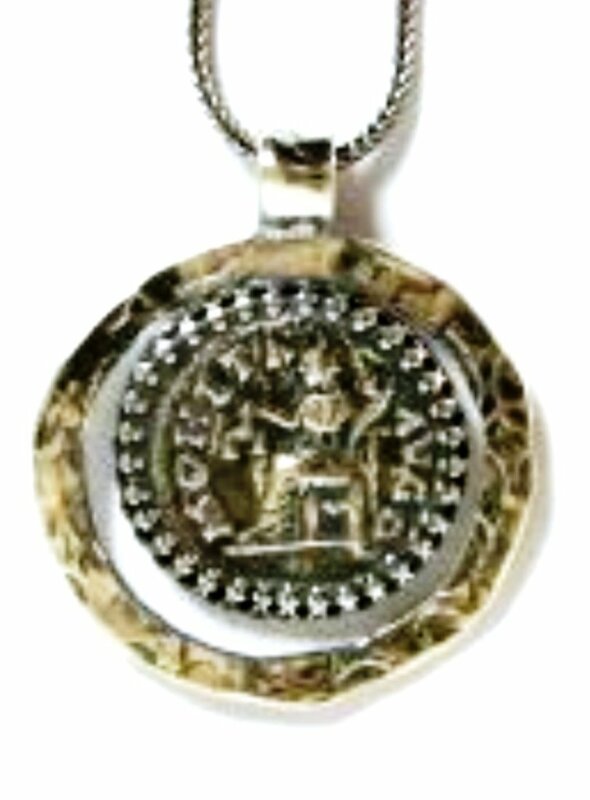 About ancient coins jewelry.